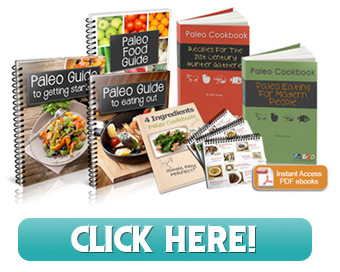 What could be better than the forty years of cooking experience of a master cook wrapped up in a neat little package to have at your fingertips whenever you need help in the kitchen? Julia’s Kitchen Wisdom is a gem of a quick reference book that began as her own loose-leaf kitchen reference guide, compiled through trial and error and remedies as she cooked her way through the years. It is now handily organized in broad categories (soups, vegetables, meats, eggs etc. ), with the emphasis on technique. Julia helps you solve your own problems until you’re ready to tackle each technique on your own—with or without a recipe. 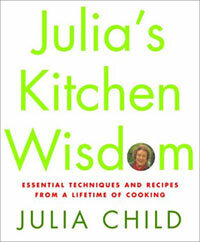 Julia’s Kitchen Wisdom is indispensable, charming, and without fault. A perfect little gift from Julia—toujours bon appetit! Julia Child recipe. Can not find in cook book. Looking for the beef bouillon recipe from the movie Juile & Julia. The beef Bouillon Julie made in the movie. If anyone has this recipe please e-mail to me at GTKelly@peoplepc.com. Would love to have this recipe. Beef Bouillon not Beef Bouillon with oxtails two different recipes. Found Beef Bouilon with Oxtails. Can not find Beef Bouillon. I want to say sorry to anyone That read my blog, I wanted the recipe for Beef Bouillon. I”m sorry the recipe was, BOEUF BOURGUIGNON. I did find the recipe. I LOVED THE MOVIE JULIE & JULIA. Julia Child could not cook an eag!. Same here!. I am going to cooking school and going to cook everyone of the recipes in Julia Child cook book. Julie felt she needed something to do. I need to have something. After children leave and 20 years of married life, I need to do something with my life.